As the day turned into the night, and the Live Music with Vince Cautero started, people danced in their seats and around the center-stage bandshell as Sinatra’s greatest hits filled the air. Kids ran, skipped, and cartwheeled all across the courtyard. Feelings of eagerness and anticipation spread throughout the crowd as 9 PM approached. An announcement was made just before 9 pm to inform everyone that the fireworks were starting soon and where they would be launched from, and people sat on any available bench. Many stood with arms folded or with a phone in hand, ready to capture the moment. Lawn chairs and blankets were sprinkled along the grass that surrounded the central gazebo. Children reunited with their parents, and couples linked together. Everyone rallied together with the excitement of the 10 Year Anniversary air surrounding them. A countdown began over the loudspeaker. The first mortars spiraled into the air and lit up the commercial complex with explosive vibrancy. The display continued with increasingly elaborate, fiery outbursts. Heads tilted back. Mouths hung open. Eyes glimmered with shades of green, yellow, and red. Every heart astounded, every eye in awe – an atmosphere full of wonder and excitement was evident within the plaza. The final set of fireworks was especially grand. The explosions were so bright and frequent, the mass of faces were lit up for seconds at a time. The vibration of sound caused one’s chest to pound with exhilaration. Several people in the crowd cupped their ears, as their smile reached to each side of their face. It was a spectacle. The show ended in applause. Few events warrant fireworks. Celebrating the birth of a nation, the turn of the new year, and Disney World are all great, but ten years is an accomplishment. 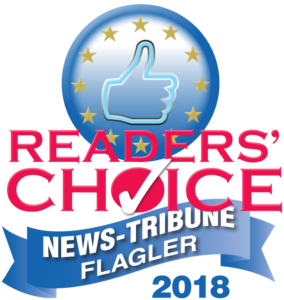 The European Village has served the community of Palm Coast for a decade by offering a location that hosts a multitude of businesses from a range of backgrounds. Yet, it feels like a family. The complex itself is a manifestation of the city and county’s spirit. 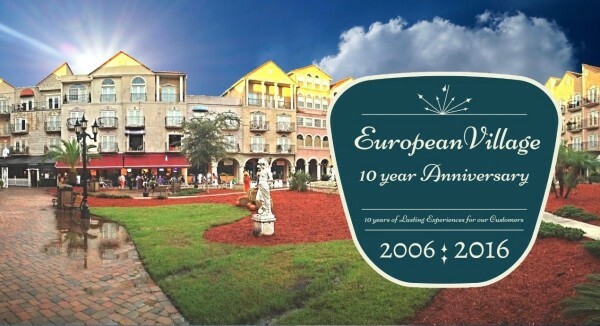 European Village as a one-stop-destination for all things Dining, Bar Hopping, Lounging and Boutique shopping experience offered its absolute finest on the night it celebrated its 10th Anniversary. Been there a few times. I’d like to know how much the condos are? Where can I find that information? Lucille, we’d love to have you! Call our offices at (800) 501-0645, and we’ll be glad to help!